'Jon Lord is addicted to harmony. Leaving Deep Purple meant leaving his best friends and a life that's "a bubble, a support system", as he himself puts it. But putting an end to compromises did a world of good to keyboarder and composer Jon Lord. His latest album "Beyond The Notes" is the best proof of this. A free spirit blows through the ten tracks of the album. Pavanes and pop songs are peopled by musicians from drummer to violinist, from a rock band to members of a string orchestra. Oriental rhythms pushing classical melodies forward. of folk music and rock music. And you throw it all in and that's how you make the cake and experiment." If you watch him at work in the studio, you quickly realise: Jon Lord loves people. He loves the 16 string players of the Trondheim Soloists just as much as his guitarist Paul Shigihara, keyboarder Matthias Krauss, bass player Urs Fuchs, and songstress Sabine von Baaren. He is friends with co-producer Mario Argandona, with songstress Sam Brown, and guest vocalist Miller Anderson. And of course he's friends with Anni-Frid Lyngstad. Anni who? Frida. Frida of Abba. Jon Lord wrote "The Sun Will Shine Again" for the Swedish lady. "We became friends a few years ago. And once we'd become friends, she actually asked me if I'd write a song for her. Easier said than done. When you've got a voice that is that specific and that glorious. So, I took about three years doing it, and only really found the right song just a few months ago and played it to her and luckily, she liked it." one of those losses that are really hard to deal with. I miss him a great deal. The track is about the lightness and happiness I got from knowing that man." Tony Ashton is another close friend whose loss Jon Lord had to face recently. To Jon Lord, this keyboarder, vocalist, and painter was like a brother. "I'll Send You A Postcard" is Jon's musical memorial for his friend. 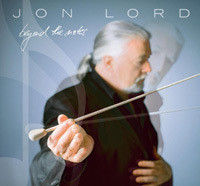 "Music For Miriam" was written in 1995, the day after the death of Jon Lord's mother. This spontaneous composition was then performed during her funeral by a string quartet and was already released on the album "Pictured Within". Now, Jon Lord has rearranged this beautiful elegy. In a big orchestral arrangement, his mother's character seems to be better represented. 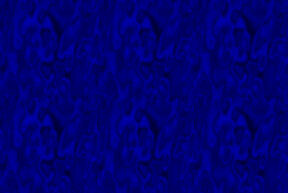 And another track serves coming to terms with the past: "De Profundis", "DP", treats his separation from Deep Purple. Is music a kind of therapy? Jon Lord laughs. It certainly is a way to help him make a new start. Even though it seems easier to him to compose sad songs, Jon Lord hasn't lost his smile. "Telemann Experiment" is the best example for this: a serious piece of music at heart, Jon Lord here combines the style of the German Baroque composer Georg Philipp Telemann (1681-1767) with a Swedish polka. The fact that "Beyond The Notes" was recorded in Germany underlines the artist's wish to tread new, own paths. Instead of working in one of the halls of fame of British music, Jon Lord chose the Hansa Haus Studios in Bonn, where he recorded his new album in June and July 2004. "I lived down in Munich for a few months toward the end of the 70s. And I've always enjoyed the country. It seems to have taken me to its heart in a way that it understands that I'm not 'just' the keyboard player of Deep Purple, but that I have other musical aspirations outside of that, and this country seems to have understood that better than most." But this doesn't mean Jon supports the idea of a European Union, on the contrary. "I don't want to be a European. I want to be an Englishman. And that's what the French say: Vive la difference. It's what makes us special, the difference between us." When he left Deep Purple, his wife said: "It was high time." But it isn't Jon Lord's style to be hanging around at home. In October, his tour starts. And until then he has plenty of things to do. Most of all, practice the piano. The years spent playing the Hammond organ have slurred his piano technique.